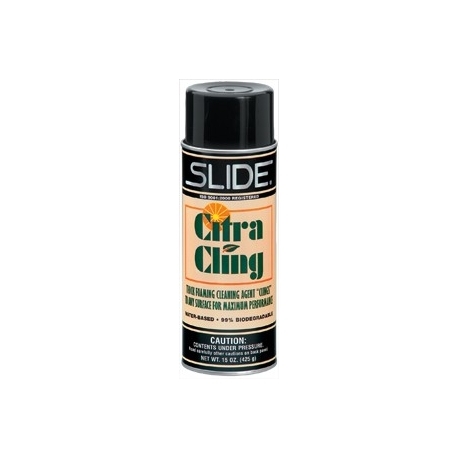 Slide 46515 is formulated with a Natural Orange Citrus Solvent (D’Limonene) that dispenses in a foam that clings to even vertical surfaces. Superior clinging action allows for maximum cleaning. Water-based cleaner is safe to use on painted surfaces and plastic parts (pre-testing recommended). Excellent for removing mold release agents, dirt, oil, and greases from most any surface! Slide 46515 MSDS Available from the download tab.